10730 Sagemeadow Lane - Under Contract! Another Home Under Contract in this competitive market! Congratulations to my client Mr. Longcor for his accepted offer in Kirkwood South Subdivision! 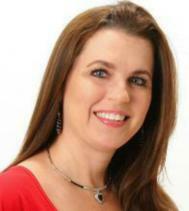 If you are in the market to buy or sell give Maggie McFarland and the PearlandHomeTeam a call TODAY at 281-485-HOME. We service all the surrounding areas! SALE PENDING! 11131 Sagehill Drive in Sagemont!